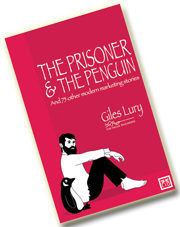 Given the time of year, I was trying to think of an appropriate brand story to tell and having suitably over-indulged I naturally thought of Alka Seltzer. Dr. Franklin Miles established Dr. Miles’ Medical Company in 1884 in Elkhart, Indiana (it changed its name to Miles laboratories in 1935). To fill the mail order catalogue the company was always on the look-out for new ‘medicines’ which it could market. So it was that in 1928 during a severe flu epidemic that Hub Beardsley, then president of Miles Lab visited the local newspaper where it was rumoured that all the employees remained fit and healthy. 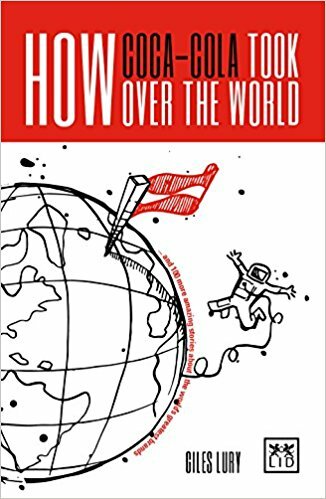 Talking to Tom Keene, the editor, Beardsley discovered their secret – all the employees took a mix of aspirin and baking soda at the first sign of illness and then miraculously did not succumb to the dreaded flu. 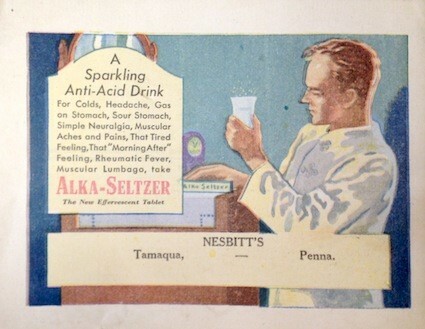 Beardsley decided that this might be an opportunity and asked his chief chemist, Maurice Treneer, to come up with a ‘concoction’ that the company could market. Treneer duly made up some samples. Beardsley then took 100 of these tablets with him on a cruise and as people exhibited early symptoms of the flu, he passed out his free samples. He was pleasantly surprised to found that they worked. However the old habits of claiming their medicines were efficacious in many ways lead to early advertisement claiming that the new brand was suitable for “colds, headaches, gas on the stomach, sour stomach, simple neuralgia, muscular aches and pains, that tired feeling, that ‘morning-after’ feeling, rheumatic fever and muscular lumbago”. Many people credit Coca-Cola with ‘inventing’ the modern-day image of Santa Claus as a jolly, white-bearded old man dressed in red and white. The truth is a little bit different. While Coca-Cola is certainly the brand that has used this image most consistently and most widely, it wasn’t the first to use it in advertising. That honour goes to White Rock Beverages, which used a jolly Santa in red and white to promote its mineral water and other soft drinks from 1915 onwards. Coke’s association with the figure didn’t begin until 1931, when D’Arcy adman Archie Lee convinced the company it needed a campaign that showed a wholesome Santa Claus who was both realistic and symbolic. Michigan-born illustrator Haddon Sundblom was commissioned to develop advertising images of the ‘real’ Santa rather than a man dressed as Santa. Sundblom asked his friend Lou Prentiss – a retired salesman – to pose for the drawings, and Lou became the model for the first few ads. The images proved immensely popular, but sadly Prentiss then passed away. After considering various options, Sundblom decided to use a self-portrait as the basis for his next image, with the assistance of a large mirror. The solution would have been fine, if people hadn’t loved the images so much that they paid very close attention to them. So when the next ad went out, Coca-Cola received a sack full of letters asking why Santa’s large belt was on backwards. Sundblom had forgotten to transpose his image. The artist learnt his lesson: while he continued to use real-life models and props, he made sure to include any adaptations required. And the moral is that, whatever way you look at it, Christmas is a time to have fun. Thanks again to Dawn Childs for the lovely illustration and Merry Christmas/Season’s Greetings to everyone. Hopefully I’ll have a few stories in the new year. Tonight on the BBC is the 60th Anniversary edition of The Sports Personality of the Year. Tennis star Andy Murray is hot favourite, but golfer Justin Rose is one of the other candidates. All of which seems like a good excuse to tell the Mark McCormack story. He was a man who played a major role in transforming sports broadcasting and marketing and took sports’ personalities to another level. When he was only 6 years old, an already sports mad Mark McCormack was struck by a car as he crossed the street in his home town of Chicago. He fractured his skull. The accident set in motion a series of events that was to change not only McCormack’s life but also the whole future of sports and entertainment marketing. When he finally recovered from his injuries, his doctors advised against playing any contact sports, so his father, Ned, bought him a set of golf clubs and encouraged him to take up the game. Golf was soon young Mark’s passion. He played on the golf team at Virginia’s College of William & Mary and qualified as an amateur for the U.S. Open of 1958. It was, however, while playing for William and Mary that McCormack first met the young Wake Forest golfer who would change his life. The young golfer’s name was Arnold Palmer. After Wake Forest, Palmer headed off for a career in professional golf. After William & Mary, Mark headed off first to Yale Law School and then to a law firm in Cleveland. They kept in touch and a friendship was born. In 1960 Mark had an idea. He saw could see the rising value of athletes. 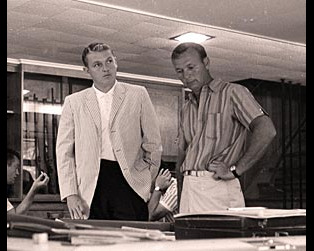 In an era when golf’s popularity was rising and televised sport was emerging, he felt there was an opportunity for him to represent and maximize the earnings of golfers. Meeting Palmer again, he pitched his idea to him – a business where his new company would serve as personal business managers to handle professional golfers’ personal affairs. Palmer took to the idea immediately. It would allow him to concentrate on his golf whilst someone he could trust looked after his business issues. In his book ‘A Golfer’s Life’ Palmer would reflect on that handshake again; “There was no contract between us because Mark knew my word was my bond and there would be no turning back on my part. The same was true of him, I knew, and those stories that you’ve heard about us never formalizing our business relationship in printed legalese, are true. So down to business they got and in Palmer’s first two years with McCormack, his endorsement earnings grew from $6,000 to $500,000. Palmer won the Masters, but also played golf with presidents, and promoted Pennzoil and Hertz rental cars. It was the kind of success that the golf world (and indeed the entire sports world) hadn’t seen before. McCormack and his now rapidly growing company International Management Group (IMG) soon branched out into other sports and new clients included Rod Laver, Bjorn Borg and Jimmy Connors of tennis and Pele the world’s most famous footballer. Nick Faldo, Greg Norman, Pete Sampras, Tiger Woods and other legends would come later. McCormack also backed his belief in the potential value that could be created by marrying sports, his famous clients and television and started a television division called Trans World International. It was another immediate success and some of its most popular programming now includes Big 3 Golf, American Gladiators, and Battle of the Network Stars, as well as shows promoting Barclays Premier League soccer, the ASP Tour, and World’s Strongest Man competitions. Trans World International also negotiated television rights deals for the All England Tennis Club, the British Open, the NFL, Major League Baseball, and the NBA. And that wealth was first releashed with a simple handshake. Wheaties began sponsoring baseball radio broadcasts in 1933 and a few years later it asked listeners to vote for their favourite announcer. 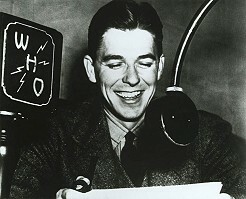 The listeners voted Ronald “Dutch” Reagan as their favourite, which earned him a free trip to California for a screen test. The Jelly Belly Candy Company owes a lot of its success to friends in high places. And they don’t come much higher than the President of the USA, unless you count the astronauts who made them the first jelly beans in space. In 1967, Ronald Reagan was serving his first term as California’s governor and was in search of something to help him quit smoking. He wanted something low in fat, not too high in calories but with enough flavour to ward off his nicotine cravings. He found the perfect snack in jelly beans. For nine years just about any jelly bean would do, but that was to change in 1976 when a San Francisco company started to make a new kind of jelly beans, one that was both more intensely and all-naturally flavoured. Reagan converted to the new Jelly Belly jelly beans made by the H.G. Candy Company. He became their most famous fan. When Regan was elected president in 1981, he wanted the beans served at his inaugural festivities but there was a problem. Not surprisingly the colour scheme for the inaugural was red, white, and blue and while there were red, yellow, white, orange, and black Jelly Bellies, there wasn’t a blue one. H.G. Candy Company immediately started work on developing a new blue variety and after much testing a blueberry Jelly Belly was agreed. They were served in the Oval Office and were a must have for cabinet meetings. They travelled with the president on Air Force One and a special holder was designed for the plane so the jar would not spill during turbulence. In 1983 President Reagan sent a surprise gift for the astronauts on the Challenger shuttle – Jelly Belly beans of course. They became the first beans in space. 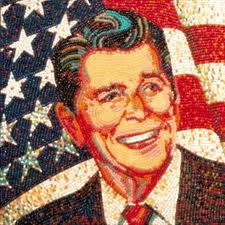 When Reagan died in 2004, black ribbons were attached to the large jelly-bean mosaic portraits of Ronald Reagan which hang at the Jelly Belly Candy Co and mourners left little packets of jelly beans in his presidential library. Footnote : While blueberry remains one of the most popular flavours, it was not Reagan’s favourite. That honour goes to the black liquorice -flavoured bean. Murder most profitable – whodunnit? I was talking to a client about Charles Darrow, the man who invented Monopoly which along with the time of year got me thinking about the classic board games which always seem to come out at Christmas. The question I asked myself was Cluedo whodunnit? Murder most profitable …or… I accuse Mr Pratt, in the factory with the drill bit. Anthony E. Pratt was a small-time but reasonably successful musician who during the inter-war period earned his living playing the piano in country hotels and on cruise ships. He was a lover of detective fiction and his favourite authors were Raymond Chandler and Agatha Christie. It was therefore perhaps not surprising that he also enjoyed the murder mystery evenings that were regular events at the country hotels where he played. These mysteries would involve both hotel guests and a few actors playing the characters in a plot which revolved around the murder of one or more of the other guests. Most of the hotels had lots of different rooms giving scope and space for the mystery to unfold and ultimately to be solved as different clues were found. 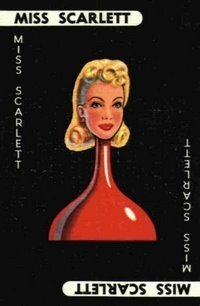 One of those ‘imaginative notions’ led to him developing a murder mystery-themed game, which he originally and somewhat unimaginatively named “Murder!” The original artwork for the board itself was designed by his wife Elva. He, Elva and friends would play it during the often lengthy air-raids and on 12th January 1944 he filed a provisional specification at the U.K. Patent Office. Later that year the Pratts visited Waddington’s Games in Leeds, England to discuss the possibilities for its manufacture. They were accompanied to the meeting by their friends, Mr. and Mrs. Bull, who had already invented a successful game called Buccaneer and who had provided the necessary introduction. Waddington’s personnel played the first game with the Pratts and the Bulls in the office of the Managing Director, Norman Watson, who immediately recognized it’s potential. However due to post-war shortages of various materials, there were some a significant delay in the game being launched. It finally went on sale in 1949, though by then there had at least been time to arrange a licensing deal with Parker Brothers in the United States, so the launch was a trans-Atlantic one. The game that was finally went to market was still the same idea though some of the details had been changed. Pratt’s original design had ten characters. These ten included the eliminated Mr. Brown, Mr. Gold, Miss Grey, and Mrs. Silver, along with two who were re-named Nurse White, and Colonel Yellow. There had been eleven rooms on the original board designed by Elva but the “gun room” and cellar were dropped. The axe, bomb, syringe, poison, shillelagh (walking stick/cudgel), and fireplace poker were weapons that didn’t make the final cut as well. Cluedo or Clue is today sold in over 40 countries from Brazil to Sweden, New Zealand to Abu Dhabi. In Brazil the game has acquired a third name “Detective”. So while it is clear that people all over the world love a good murder mystery game, you, dear reader, are now amongst the minority who, when it comes to the invention of the game, know whodunnit.